Laid down, 17 July 1963, at Mobile Ship Repair Co., Mobile, AL. 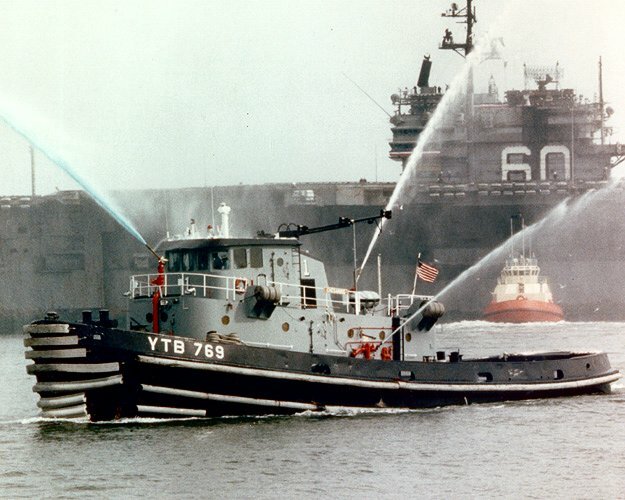 75k Chesaning (YTB-769) underway in harbor, date unknown. Note USS Saratoga (CVA-60) in the background.